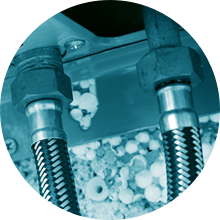 Built to last and to run efficiently and proven to handle all types of applications. These Australian-industry workhorses prove themselves year after year. 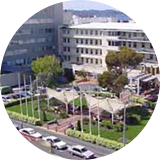 Team up with the Australian leader for commercial-grade and large-scale solar hot water solutions. 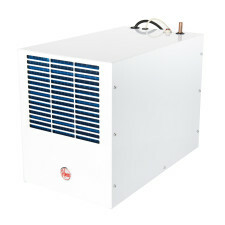 Commercial-grade heat pumps that deliver extremely high thermal efficiency. 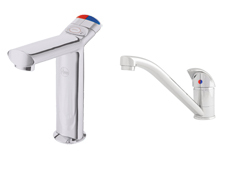 Controlled warm water in specialist applications such as health and aged care. Redundancy backup for your hot water system. Filtered, boiling or chilled water for the workplace. Space saving over bench installation. 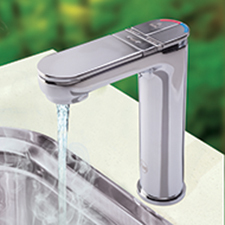 Transfer heat efficiently between primary and secondary hot water circuits. Australia’s widest range of commercial pool heating systems. To plan your hot water solution, use our handy step-by-step guides. Choose the right Rheem for your home here. Maintenance redundancy and ease of fitment and replacement. 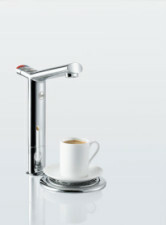 To help you pinpoint the right hot water solution, and to solve technical issues, please give us a call on 1300 556 036. We can provide a full range of commercial pool heating systems that can be scaled to suit even the largest pools. Highly-specialised water heating and cooling solutions for Australia’s aquaculture industry and for our elite sport facilities. The Rheem Pumped Chiller UBWC-125 provides up to 180 glasses per hour of refreshing, filtered chilled water from the same dispensing tap as the boiling water. 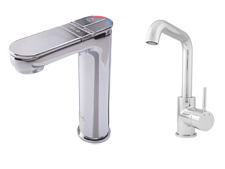 Aqua™ Sink Free and Extension Kit allows the dispensing tap to be located in an area where there is no sink such as a board room. Suitable for use with Maxi 3 only. Azure™ Sink Free and Extension Kit with Base allows the dispensing tap to be located in an area where there is no sink such as a board room. Suitable for use with Maxi 3 only. 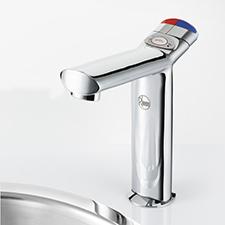 Azure™ Sink Free and Extension Kit allows the dispensing tap to be located in an area where there is no sink such as a board room. Suitable for use with Maxi 3 only. The modular Rheem Maxi 3 Azure™ provides up to 165 cups of energy efficient filtered boiling water and 180 glasses of filtered chilled water per hour. The modular Rheem Maxi 3 Aqua™ provides up to 165 cups of energy efficient filtered boiling water per hour. The modular Rheem Maxi 4 Azure™ provides up to 165 cups of filtered boiling water and 180 glasses of filtered chilled water per hour and can also provide hot water from a mixer tap. The modular Rheem Maxi 4 Aqua™ provides up to 165 cups of filtered boiling water and 180 glasses of filtered chilled water per hour and can also provide hot water from a mixer tap.